Dr. Karen L. Peschke, O.D. 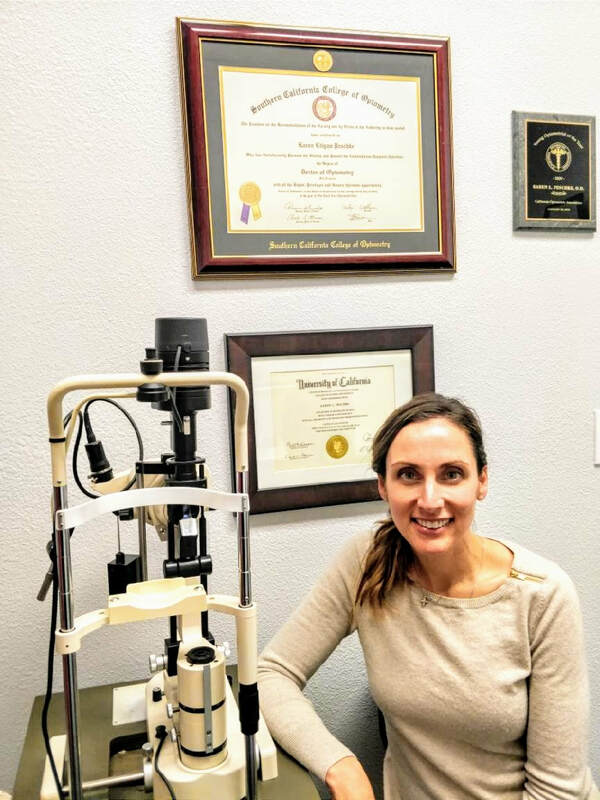 Dr. Karen Peschke graduated from the Southern California College of Optometry; followed by a one-year residency in Primary Care and Low Vision at the Veteran's Administration Hospital in Tucson, AZ. Dr. Peschke returned to California to enter into private practice in San Diego. Since then she has been published in Optometry Journal of the AOA and lectured at local Society meetings. In 2009, she was honored with the "Young Optometrist of the Year Award" by the California Optometric Association. Dr. Peschke is an active member of the California Optometric Association and the San Diego Optometric Society. In her spare time, she is an avid runner who enjoys traveling with her husband and their two young daughters.